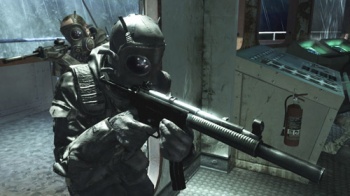 Massive Call of Duty lawsuit hits a minor snag. While multiple details have already been leaked regarding the lawsuits between Activision and former Infinity Ward founders Jason West and Vince Zampella, the trial itself has yet to get rolling. Unfortunately, those eager to see the multi-billion-dollar suit get off the ground will have to wait a little longer. The trial, originally planned to begin on May 29th, has been bumped to June 1st. Superior Court Judge Elihu Berle ordered the delay, stating that there were some "logistical difficulties" in gathering a large enough jury pool to review the case. Interestingly enough, Berle also ruled that the case must be completed by July 2nd, giving lawyers on both sides a mere 22 business days to explain the complexities of a case involving accusations of computer hacking and fraud to a judge and jury. Thousands of pieces of evidence have been submitted in the past two years since Activision and Zampella/West filed their lawsuits against each other way back in 2010. Each has claimed that the other party breached a contract specifying the royalties owed to Infinity Ward and what Activision expected from the Call of Duty developers and both parties are claiming over a billion dollars in damages and compensation.